1. 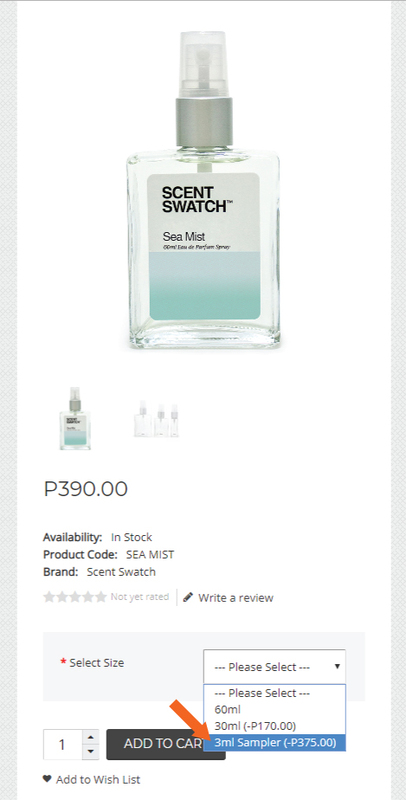 At the Sea Mist product page, under "Select Size", choose the 3ml Sampler option and add it to your shopping cart. 2. 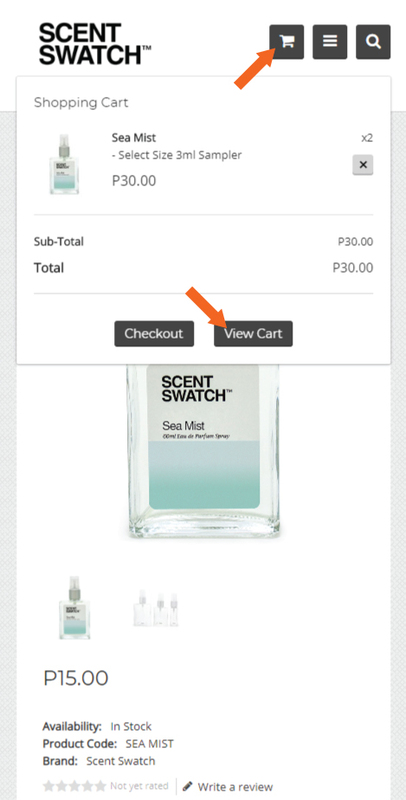 Once added, check the contents of your cart by clicking on the shopping cart icon at the top right hand corner of the page and click View Cart. 3. 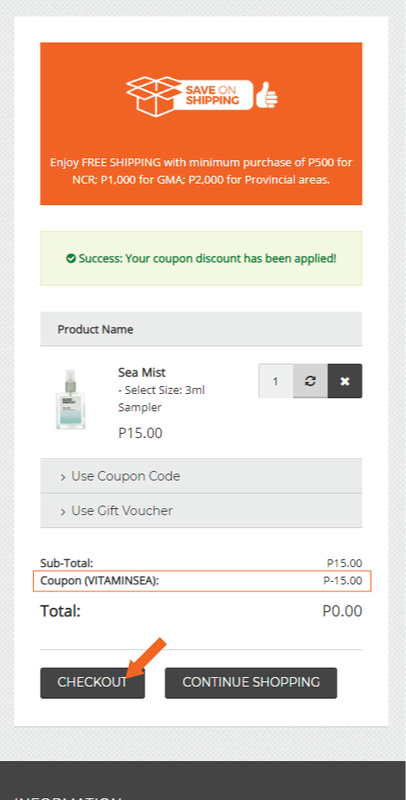 At the Shopping Cart page under "Use Coupon Code", enter the coupon code VITAMINSEA and click "Apply Coupon". 4. 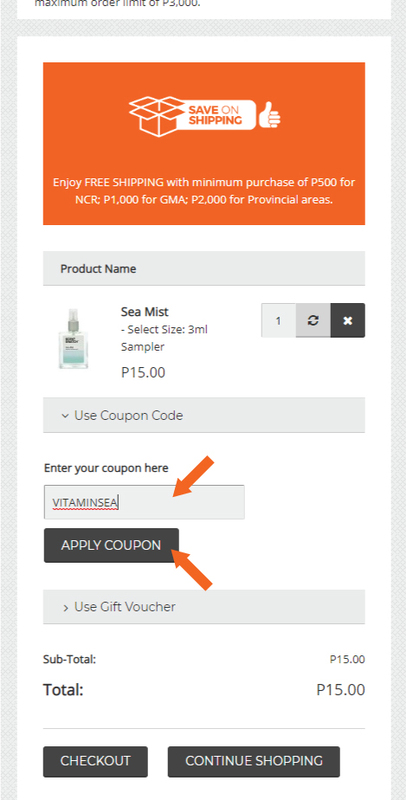 A success message will appear with a P15 discount already applied to your cart. Click "Checkout" to proceed to our checkout page and submit your order/s. Please note that this offer is for one-time use only. Once claimed, succeeding coupon code applications will no longer be valid. Offer runs from March 20 - April 30, 2019 or until supplies last.